About a Boy was on ITV2 last night. I stand by the film, though I know it’s not cool to like it. The role of wealthy commitment-phobic bachelor isn’t a great stretch for Hugh Grant, and looking at young Nicholas Hoult with his mother’s breakdown haircut, one can’t help feeling it could’ve gone either way for a while there. But it deals with some interesting issues in a way that’s almost subversive for the genre, it admirably resists the lure of Americans playing Brits, and it’s a funny film. There are some great performances from the grown-ups and some ropey ones from the kids. It completely fails to move me, emotionally, in any way, however many times I see it. But I actually quite like that unapologetic hollowness and the direct line that gives me to the really interesting thing about About a Boy: the filming locations. 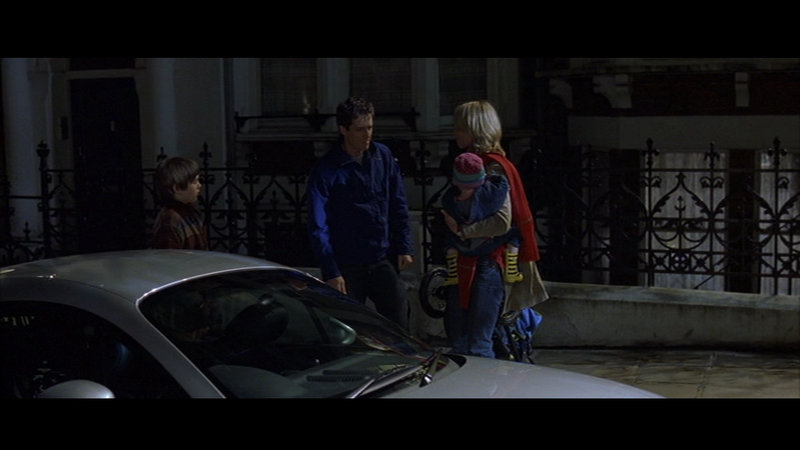 A lot of About a Boy is filmed in areas of London I know reasonably well, and the locations jump into the foreground once you recognise them. Spot a location and it’s very hard to carry on caring about who the actors are pretending to be or what they’re pretending to emote about. Yeah, I’m much more interested in where they really are. I always imagine everyone’s like this, but actually look at the IMDB or try to find any information anywhere on which park or stately home that scene from that film happened in, and you’ll discover pretty quickly that no one else cares about this stuff. What’s wrong with people? What’s not to be interested in here? Why do you hate reality? Actual Location: The sign on the fence there really sets alarm bells ringing. Not literally, I mean – it’s not a special “security sign”. But alarm bells in my head, because what self-respecting comprehensive school these days calls itself a comprehensive school? Beautiful weather for the stuff shot here, but it’s the most foreboding, schooly-looking place imaginable. Although it’s thoroughly cheating to look at the IMDB list, it’s quite possible this is in Kentish Town. Someone must recognise this place, it’s bloody massive. I thought it might be Camden High, and although it sure is close, there is no cigar to be had. Any ideas? 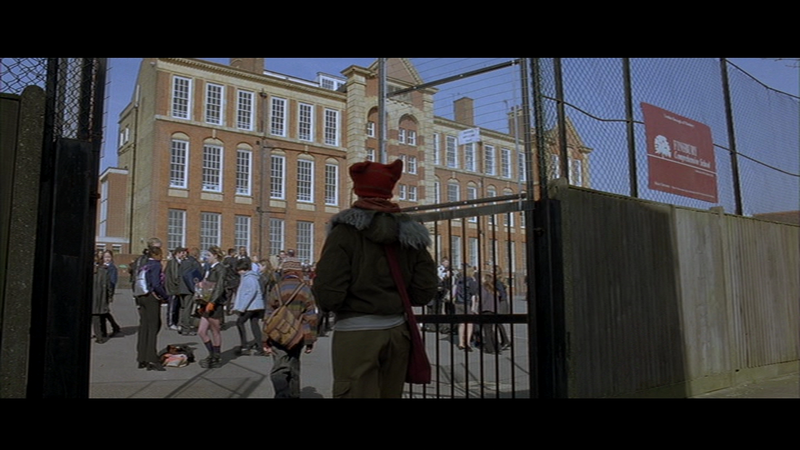 Scene: Meeting Marcus and his silly hat and his horrible school mates. Actual Location: Don’t ask me how, but I’ve tracked it down to 28, Lady Margaret Road, Kentish Town. Scene Will tries to impress date by pretending he has a kid. This becomes something of a theme for the film. All credit to the production team, it’s the sort of place this awful woman would live, as well. Actual Location: It’s St James’s Church in Clerkenwell (also here) famous also for its role as the current London Ruby User Group venue. Scene Will recounts his days of trying to be charitable – helping out a soup kitchen etc. But as he says: “you have to mean things to help people”. Scene: Will is being followed by Marcus, who is determined to prove Will does not, in fact, have a son. Actual Location: Smithfield’s market, Clerkenwell. That Coffee Republic is now a Starbucks, I go there quite often. Actual Location: The only supermarket I know that looks like this is Sainsburys in Camden. Now, Will apparently lives in hip design-studio dominated Clerkenwell where there are no large supermarkets, but it’s still quite a trek to Camden considering he doesn’t seem to drive or use public transport. Scene: Will is still being followed by Marcus, who is determined to prove Will does not, in fact, have a son. Actual Location: I think this either really IS or is made to look like Oxford Street, but something’s not right about it, and I just can’t imagine they’d have been able to film there. I guess the inside of the shop is a set? 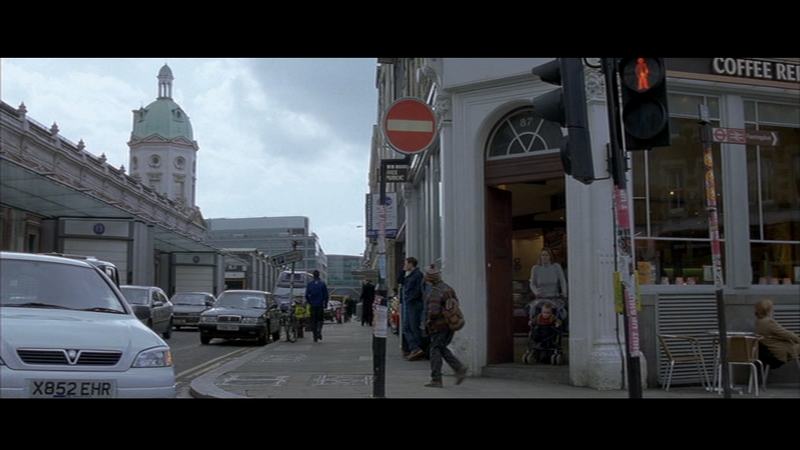 I don’t think the Sketchers store is opposite The Body Shop anymore, but this film was made seven years ago. Things change. But wherever it really is, the Sketchers product placement in this scene will make your eyes water. Note to self: must buy Sketchers. Scene: Will is affected by Marcus’s despondency and tales of bullying and decides the best way to get one over on the bullies is to trendy the kid up a bit. That’ll teach them. He takes Marcus shopping. 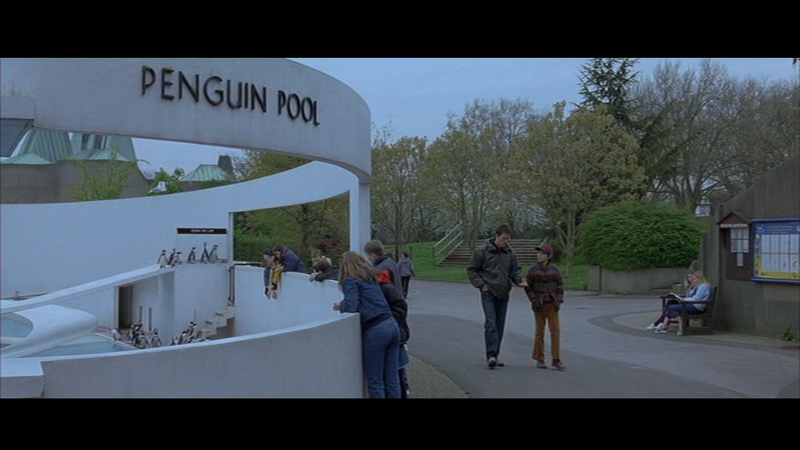 Actual Location: Clearly this really is the Lubetkin penguin pool, so they are at London zoo. It’s one of several scenes I think filmed in and around Regent’s Park and two separate scenes set and filmed at the zoo itself. 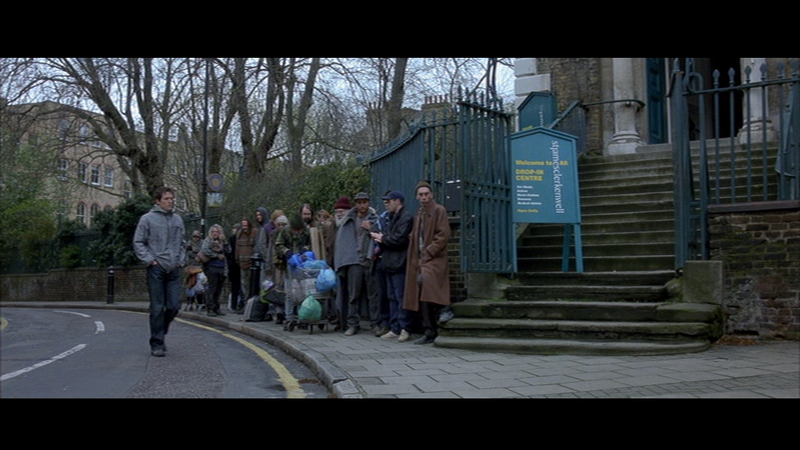 Another good film with London Zoo in is Withnail and I (wolves). Scene: Will tries to persuade Marcus to pretend to be his son so he can score with Rachel Weisz. I think we’ve all been there. Actual Location: Another trip to Camden for Will, I think. 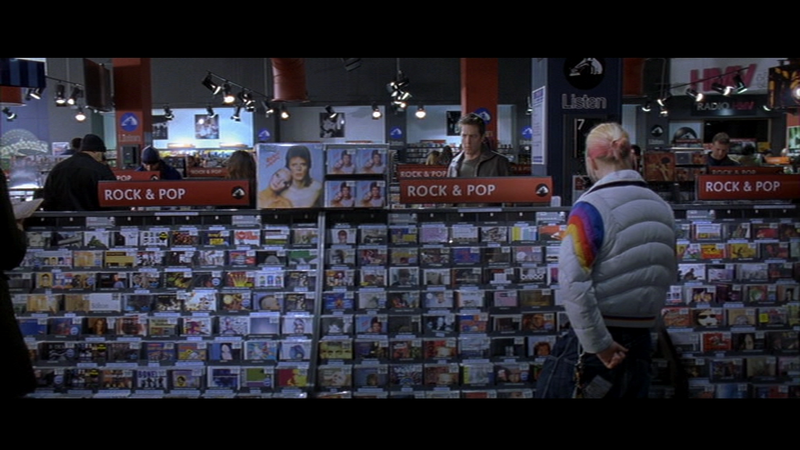 This looks like downstairs at the Camden HMV to me, but I’ve been wrong before. They all look very much alike. Scene: Montage about how Will’s life is made up of units of time, “Buying a CD: two units.” My life is made up of units of time, too. I often think of this scene during my daily, fundamentally unemployed, life. This blog post: ten units. 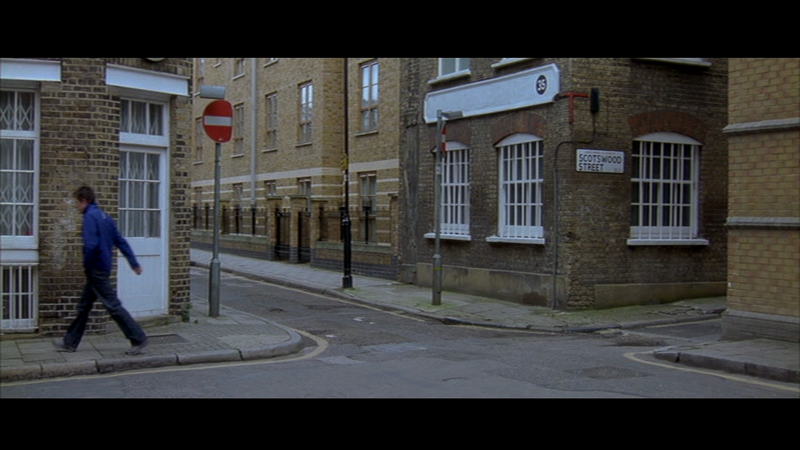 NB, I have started a collaborative Google Map here with locations from this film! Do join in. It seems to be on every day on ITV 2 at the moment. This entry was posted on	November 1, 2009 at 10:34 am	and is filed under Uncategorized. 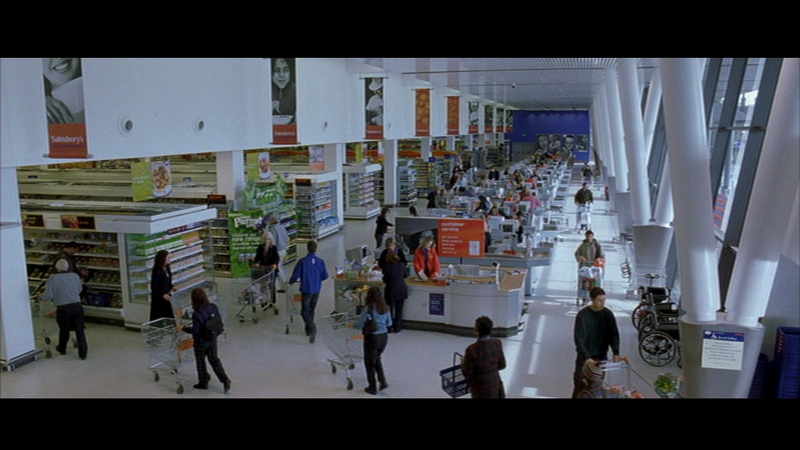 The scenes where he’s in Mothercare and stamping crisps into the baby seat were filmed in Kew Retail Park. Hang on! There’s no Camden HMV! Ah but there *used* to be! I take you on a journey through time as well as space, like the Ghost of Christmas Past. And hey, you were there for the filming. That’s amazing and no one can ever take that away from you. I am fairly sure that the school is my old school, Earlsfield Primary School in Wandsworth. Bingo. Superb work, thank you. Competition closed: we have a winner. it’s actually West Hill Primary school- the building is almost identical to earlsfield primary school, but has a fence in front, whereas Earlsfield primary has a wall in front. also the extension on tghe left is slightly different. Rachel Weisz should have been always the leading lady of the Mummy movies because she really fits that role . Does anyone know the location of the duck pond where Marcus kills a duck with a loaf of bread? It looks very much like the pond in the park which is near my friend’s house in Highbury. (From memory) I thought that looked like Regent’s Park.